Python: How to use the ‘timeit’ module for multiple lines? It is very useful to time small snippets of python code. For example, you might want to do that to debug performance bottlenecks or to compare the efficiencies of different ways to perform a task. The timeit module is a handy python module that allows you to do just that. Even though it is pretty straight forward to use this module to time one-line statements, you might find it a little tricky to time multiple-line statements. 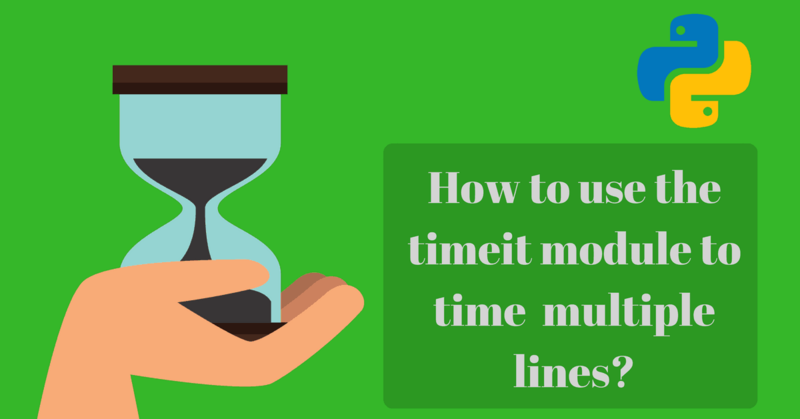 In this article, I will teach you how to use this awesome python module to time multiple lines. But before we dive into how to do that, let’s revisit the different ways you can use the timeit module. In your python code, you can jump import the module and use the timeit method. Now how can you use the timeit module to time a snippet of python code that spans multiple lines? Let’s discuss how you can do that from python code and from the command line interface. The easiest way to time multiple lines having the same indentation is to use semicolons to separate the lines. For example, say you want to time the following snippet. But what if your code have different indentations? The easiest way to handle different indentations is to to define your code snippet as a string first using triple quotes. The reason why you should use triple quotes is because it allows you to define strings that can span multiple lines. Prefect, now let’s discuss how you can do the same thing but from the command line interface. For multiple lines that have the same indentation, you can still use semicolons like you did in the previous case. This separation of statements into different arguments allows us to specify indentations as well. For multiple lines with different indentations, you specify each line as a separate argument and you also preserve the leading spaces. If you are a beginner, then I highly recommend this book. Then it’s time to take your Python skills to the next level with this book (It’s my favorite). 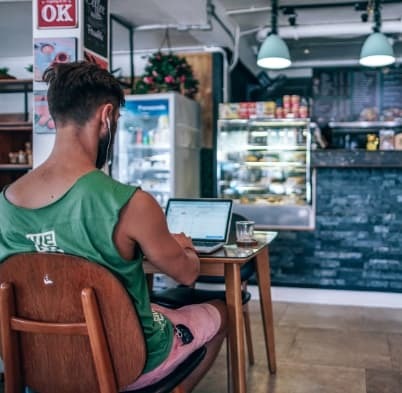 Why (and How) you should Start your Programming Blog Today? Are you Beginning your Programming Career? I provide my best content for beginners in the newsletter. What programming language to start with? Do you need a CS degree to be a programmer? Learn why you should Start your Programming Blog Today! My name is Karim Elghamrawy. I started Afternerd.com to be a platform for educating aspiring programmers and computer scientists.